If there was one characteristic to describe any Disney short film, it would be creative. 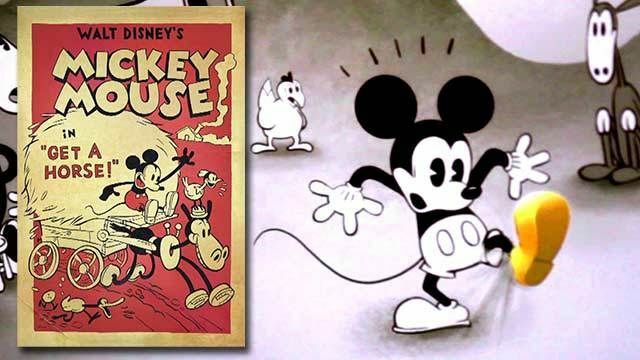 Walt Disney’s legacy was founded on short cartoons with everyone’s favorite mouse, Mickey Mouse, so it’s only natural that Walt Disney Animation Studios keeps this tradition of creative shorts alive. Each short can be found as an introduction to any recent Disney motion feature. Thankfully, the studio has released a collection of these short animations in a wonderful bundle that any fan would love. Even if you’re not a fan, the films included are still more than worth looking into. The short films included are How To Hook Up Your Home Theater, The Little Matchgirl, Lorenzo, John Henry, Tick Tock Tale, Prep & Landing – Operation: Secret Santa, Tangled Ever After, The Ballad of Nessie, Paperman, Get A Horse!, Feast, and Frozen Fever. Each short runs around five to eight minutes, and you are able to watch them individually or back to back in a 79 minute presentation. Now, a few of these may sound familiar to you while the latter may not. Regardless, every short is full of humor and heart, and brings a memorable visual experience like you have never seen before Get A Horse! is a groundbreaking cartoon that borders 2D and 3D realms of animation that is fun and unique. Oscar winners Paperman and Feast tell beautiful stories through actions and facial expressions instead of words. Frozen Fever, a short story that takes place after the events of Disney’s Frozen, takes the stage with a brand new catchy song starring your favorite characters from the movie. It goes without saying that each and every short film looks amazing. Coming from Walt Disney Animation Studios, one would expect no less. The Blu-ray and DVD copies bring out the colors of the short films really well. I caught myself pausing numerous times in a couple of shorts just to gaze at the attention to minor details that make each short film a visual spectacle. The Walt Disney Animation Studios Short Films Collection only proves that Disney is the best in the business when it comes to short feature presentations. From John Henry to Tick Tock Tale, all of the short films included brim with the creativity and fun Disney is known for. The only bonus feature for this short film collection includes a fascinating inside look at the process of developing and producing a short, hosted by T.J. Miller, the voice of Fred in Big Hero 6. It’s a wonderful insight into how a short is created and nurtured through its development. While there may not be a lot of exclusive bonus features, the quality of the short films themselves make up for it. Any fan of film, cartoons, and Disney need to add this Blu-ray/DVD combo pack to their collection.